Maryke began Meditation at the age 17 in a search to alleviate physical and emotional pain, resulting from a Motor vehicle accident whilst riding bicycle in her early teens. In 1977 she began attending Hatha Yoga Classes at the Sivananda Ashram W.A. with Swami Lakshmi, which was the catalyst for commencing her now long yoga journey. Meditation helped her on so many different levels so her passion grew to learn all aspects of yoga, hence the decision to undertake a Raja Yoga Teaching Training in her late 40's. Maryke is deeply grateful and humbled to over the years have had the rare opportunity to be able to attend studies/workshops under some now world renowned Masters of Yoga from India. She regularly attends Workshops/Retreats either Interstate or Overseas to help deepen her own practice, and likes to draw from these teachings. Now in her 60's, Maryke is totally dedicated to teaching yoga in its Holistic Form. She likes to encourage understanding of self with acceptance on all levels by realizing the Spirit or Guru within. She endeavors wherever possible to adjust the practice to suit the individual needs of the student and has a natural easy going manner. She moved to the Gold Coast in 2013 to be closer to family and is now enjoying sharing her wisdom with the community there. Teachers whom have strongly influenced her personal practice and facilitation's, include: TKV Desikachar, Indra & AG Mohan, Donna Farhi, Todd Norian, Clive Sheridan and Carolyn Coggins. My yoga path began in 1992 after I somehow found myself at a remote place in the Daintree. The owners whom I met there lead an alternative lifestyle and had a wonderful glow in their eyes. Despite their maturity they radiated youthfulness and vitality. When I asked them what their secret was they said it was yoga, which they had been practicing for many years. I then soon found a Yoga Class for me to attend and it felt as if I was “coming home”, and so my journey of self discovery began. Over the years I have attended many yoga classes and weekend retreats. In 1999 I attended a retreat with Swami nakananda, which is where I decided to train as a yoga facilitator. Although most of the teachings I received over the years were Satyananda style I decided to study with The British School of Yoga and completed a Yoga Teaching diploma end of year 2000. During the years that followed I taught after school classes and at a nearby Island resort designed for “tweens” where we held weekly yoga classes. In 2004 the family moved to the lovely Gold Coast. Times were busy settling with work and finding schools for children so there was a gap from yoga teaching, but I immersed myself in my massage work at that time. Then one year on an overseas trip I had a fall whilst skiing and ended up with a little spinal damage, in the lumbar area. Ahimsa was my next lesson in yoga, the practice of non-violence to anyone or anything including oneself. Surrender to pain and immobility and being kind to the body which is after all “ is the temple of our soul”. The back eventually healed and now lead a normal life with just a few minor limitations. It is an honour for me to have the opportunity to facilitate yoga again and be of support to those that would like guidance with yoga in their life. class in my late teens, I knew yoga was for me. Yoga centred and calmed my thoughts, released tension in my physical body and cleared held-in emotions which left me feeling refreshed and whole at the end of the class. I continued attending yoga classes over many years which led me to a desire to pursue teaching some 19 years ago. My teacher training was with Swami Sarasvati Yoga Society and I like to continue learning by participating in yoga workshops and retreats. Since completing my Teacher Trainning I have taught private classes, at government educational institutions, Fernwood gym, healing and wellness centre, as well as facilitating some day workshops. My yoga journey began as a young teenager when I attended Hatha yoga classes with my mum in New Zealand. Perhaps that is when the seed was planted. When my marriage ended, I decided to escape to India and rediscover myself. I soon found myself in an ashram learning the Art of meditation and went on to practice many forms of meditation and karma yoga. I visited India frequently over the next four years, discovering more of myself and the wonder of life. On returning to NZ I was lucky enough to find true love and have 2 lovely children with my now husband John. In 1996 we moved to the Gold Coast and focused on raising our girls and building our fabric art business. Once the children were adults my passion for Yoga returned and I began attending regular Hatha Yoga classes on the Coast. In 2015 I discovered Yoga with Heart yoga classes and an opportunity arose for me to begin a 2 year cadetship in Yoga Teacher Training with Yoga with Heart. I was drawn to the opportunity and have recently completed a 350 hr Raja Teacher Training Programme as my cadetship continues.  Hi my name is Paula and it is an honour to be invited to facilitate yoga with Yoga with Heart. My intention as a yoga teacher is to support people in bringing balance and harmony into their lives through Yoga. I am dedicated to inspiring people to connect with and communicate with their bodies, to encourage healing and to find relaxation and peace in the craziness of life. A lot of my childhood was dedicated to Dance, being passionate about the discipline of Ballet, I got to know my body very well. Many of us reach for Yoga & Meditation during difficult times in our life, and for me it was no different. With 3 young children at the time, my stress levels were high and my physical body was developing all sorts of issues, patterns and ailments. It was then that I turned to Yoga, Natural health remedies, diet with lifestyle changes and it truly was my saviour. Yoga has helped me to create new healthy patterns & rituals and I try to consistently give myself time to nurture, ground and balance so to remain true to myself. I also have a love of adventure & solo travel which has helped deepen my practice and taken me to places like India, Vietnam, Sri Lanka and Cambodia. I am now able to realize when I am not loving or honouring my own needs and desires, and continue to actively and mindfully remain aware of any patterns resurfacing…. and they do, especially as a mother and partner! I found Yoga when looking for some strengthening activities without putting too much strain on my body, due to past injuries and pain. From there my love for Yoga grew and I began to see the changes in my mind, my stress levels and overall lifestyle choices. The more I began to delve deeper into the practice of Yoga in all its forms I felt drawn towards teacher training to enhance my overall practice personally. During this training with 'Yoga with Heart' I found that the Yogic path was for me and I wanted to begin to share the beauty of this with others through teaching yoga. came about after being told I had adrenal fatigue. At the time I also had a very significant event occurring in my personal life which was extremely challenging, so something was certainly telling me I needed to slow down. Yoga gave me strength and grounding. Learning how to use my breath correctly was the key to my healing and the opening to what lies within. Yoga gave me something I had never experienced before, Peace and Space and I felt like I had come home! Since then, I then I have continued regular yoga classes/workshops and also attended a Buddhist 10 day silent meditation retreat (vipassana), all of which have assisted me to go deeper into my own practice. I have found Yoga and meditation to be a life changing experience! In 2013 I completed a 200 hr teacher trainer in Thailand with some amazing and inspirational teachers. They shared their wisdom and knowledge freely, and this was the stepping stone to really cement my personal journey of growth and self discovery. Yoga and Meditation came to my life as a Gift back in 2008 from a dear friend who thought that it would help me manage the stress my professional life was bringing me… She was right! However she would have never imagined back then that Yoga would change my life. After a couple of years practising Yoga asana, I decided in 2011 to study and complete a Level 1 Hatha Yoga Teaching Training Program, which then definitely was the catalyst for many changes in my life… Soon after completing this Training I decided to pause my highly demanding 10 year career and go travelling as a tool of self-discovery and as a way of living in a more conscious and giving way. I was born into an alternative health conscious family, so was introduced to the healing benefits of Yoga, natural medicine and healing at a very early age. As a young child, I would do Yoga with my mum as part of her daily routine. My upbringing also included learning about Yoga philosophy, chanting, breathing and asana through one on one time and classes taught by a wise and experienced senior Yoga teacher and close friend of the family, Premala Devi. These rich, inspiring and early experiences with Yoga left a positive lasting impression on me – one that has taken me to India on 2 occasions, studying Ayurvedic Food & Lifestyle Medicine (Yoga’s sister science). I am a Yoga Alliance Certified Yoga teacher as well as a published writer in the fields of Ayurveda and Yoga wellness. My background in dance influences my feel and approach whilst teaching. A key principle that I love is to incorporate finding the ‘flow’, ease and grace within each movement. My intention during a class is to uplift, inspire and energise the body and mind, bringing harmony to the whole being, allowing for blockages to release so that energy can flow freely through the body’s channels. Gentleness, care and upliftment, is what I like to offer when participating in one of my yoga classes. Finding fulfillment and having loads of fun working with children over the last 10 years lead me to completing my 200hr Hatha Yoga teacher training with Doreena Scales at Peace yoga . This felt like a natural step in fact I believe it was a calling from deep within. Here I learnt to truly fall in love with life and the joy of having a deeper connection with myself and how the physical asanas are a pathway to meditation.